Areas of the brain with greatest energy demands. Mild to moderate ischemic insult: Watershed territory infarcts. Changes seen earliest on DWI (few hours) as areas of restricted diffusion. 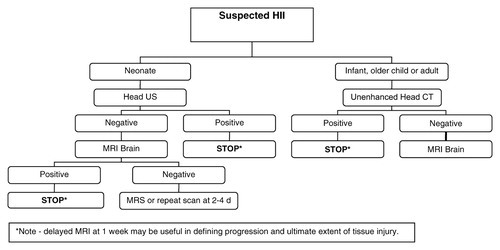 DWI can pseudonormalize by the end of the 1st week while T2W abnormalities persist. Muttikkal, TJ, Wintermark, M. MRI patterns of global hypoxic-ischemic injury in adults. J Neuroradiol 2013; 40: 164–171. Read here.